Bright Hair Dye There are 109 products. 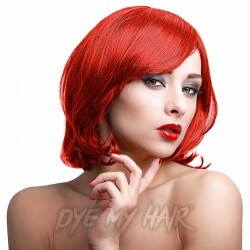 Go wild with the Manic Panic Amplified Semi-Permanent Hair Dye in Wildfire! Ever thought about using bright hair dye before? If not, then you should definitely read on because we’re about to tell you how a head of brightly coloured hair can totally transform your look! 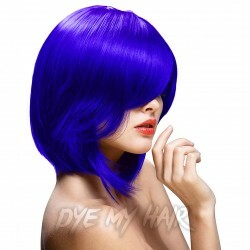 When it comes to hair dye, a lot of people will keep changing between the usual natural colours, like blonde, brown and black not knowing that there is a whole world of vivid and bold hair colours out there just waiting to create gorgeous hairstyles! Dye My Hair is one of the top retailers of vibrant hair dye, stocking just about every semi permanent hair dye colour you can think of! Why settle for brown when you can go for blue? Why bother with a natural blonde when you can have silver locks? Why not mix up your black hair by adding some pink streaks? The possibilities really are endless when it comes to bright hair colours. From primary colours to secondary colours and beyond, the only limitation is your imagination when it comes to hair dye. Like we said before, these colours are only the tip of iceberg! Why stay blonde or brown when you can go red, blue, green, yellow or purple? Heck, you can go for just about any colour on the colour chart! Or you could even go for straight-up rainbow hair. And obviously you shouldn’t just take our word for it when it comes to the awesomeness of bright hair dyes! Just about every celebrity from Lady Gaga to Kanye West has given a bright hair colour a go! You don’t have to look far to find a celebrity with a bright hairdo that’ll knock your socks off. Just check out how incredible Kylie Jenner looks with rose gold hair, or Maisie Williams with teal locks! Cate Blanchett’s pink hair is also a knock out! Basically what we’re trying to say is, no matter which shade of the rainbow you go for, you’re bound to get a look with some bang! 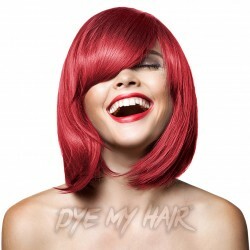 We stock hair dyes that are suitable for dark hair and light hair, as well as for pale skin. There’s no need to worry about not getting the look you want, because we’re here to help you every step of the way! So you’ve picked a colour that really screams what you are all about. Now you’re probably thinking: ‘What next?’ Well, now you need to decide how you want to wear it! Of course, you can simply go for the usual way of dyeing your hair all over, but it’s important to bear in mind that there are a lot of options out there. So here are our favourite ways you can rock your new bright hair colour! Dip Dyeing. If you’re not quite ready to say goodbye to your current hair colour, then you should definitely give dip dyeing a go. It involves simply dyeing the ends of your hairs, giving you a groovy look that blends natural and unnatural hair colours in an awesome way! It’s a great compromise, or just a great way to combine two extraordinary bright hair dye colours together. 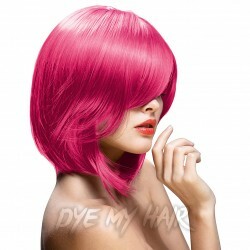 You can get a hairstyle with a lot of depth by dip dyeing two shades of the same bright dye. Ombré. If dip dying looks too simple or strong for you, we highly recommend ombré instead! This hair dye style offers an almost gradient affect, giving your hair a smooth transition from one colour to another. The move from dark shades to lighter shades can create a really complex and beautiful effect that anyone would love to make their next look. Rainbow Hair. Yes – rainbow hair is just about as awesome as it sounds. If you don’t think you can choose just one shade of hair dye, then rainbow might be for you. A quick online search will show that there are dozens of fantastic looks out there than blend multiple bright hair colours together to achieve stunning effects! Hidden Hair Colour. Another interesting trend is hidden hair colours. What is it? It involves keeping your top layer of hair a natural shade, while dying lower layers more vivid and bright colours (It’s often used in conjunction with rainbow hair.) If you want to keep your crazy new hair colour on the down low, you should definitely look into this style! Colour Mixing. One last awesome idea for you... Some of the brands we stock (such as Splat) suggest mixing hair dyes together if you can’t get the colour you want. Awesome, right? Now there’s no colour unavailable to you! So get ready to take the world by storm with a bright new hair colour and take a browse through Dye My Hair’s awesome selection. We stock a whole range of incredible brands, including Manic Panic, Herman's Amazing, Splat, Crazy Color, La Riche Directions, Stargazer and Paintglow, so you’ll be spoiled for choice! So what are you waiting? Get the hair colour of your dreams today!